We're less than a week from the announcement of Xiaomi's exotic new high-end smartphone - the Mi Mix 3. The device will employ an interesting sliding screen mechanism in the quest to achieve a true all-screen look, so naturally, most of the unofficial leaks as well as the official teasers have been focusing our attention to the front side of the phone. However, we're happy to say that now we have an image that will provide some interesting new details for fans looking for the whole "Mi Mix 3 picture". 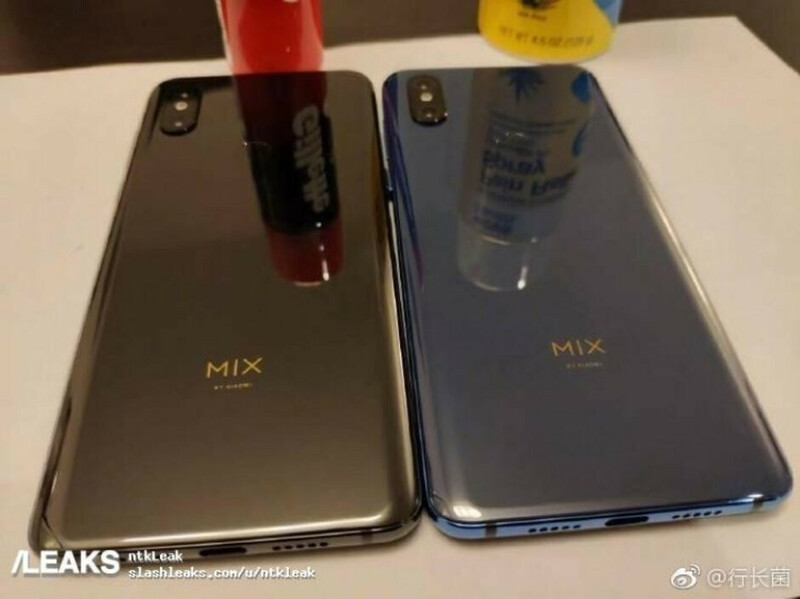 The live image, which surfaced today on SlashLeaks, allegedly shows the backsides of two Mi Mix 3 units. At a first glance, the phones look almost identical to the rear of the Mi Mix 2s. First off, there appears to be a physical fingerprint scanner present at the back. This dispels previous rumors of an in-display digits reader for the Mi Mix 3. Also, it looks like Xiaomi has stuck with the ceramic back that the lineup is known for. Now let's move on to the changes. The unobtrusive "Mi Mix designed by Xiaomi" logo found on the previous model has been substituted with a large "MIX" tag in gold lettering at the lower half of the new handset. There's also a secondary grille located on the bottom part of the Mi Mix 3, likely placed for cosmetic reasons. Lastly, let's talk about color options. We've seen black Mi Mix models since the original model premiered, but the blue-colored one is a novelty for the lineup. The dark blue finish looks quite nice, and we're hopeful that additional color variants will be present with the Mi Mix 3. 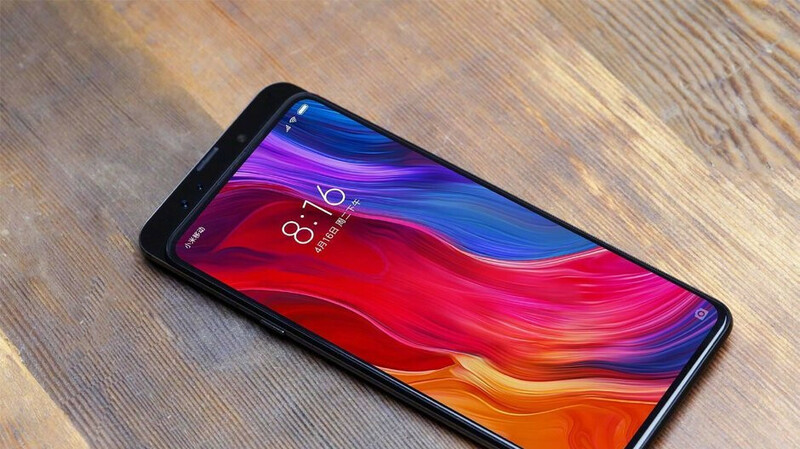 In terms of specs, we don't know that much, but it has been confirmed that the Mi Mix 3 will have a 10GB RAM variant and will be one of the “first smartphones in the world” to be compatible with the next-generation 5G networks. Qualcomm’s Snapdragon 845 SoC is also expected to be on board. The phone will officially break cover on October 25, so stay tuned for more info. True.. Put the camera position like Meizu flagship for example. 10 GB RAM is unnecessary, it's just showdown and this phone could be ready for 5G, but just "ready". Until late 2019 no one can use 5G on Mi MİX 3. Free ram is free ram. It's never a bad thing to have more. Well, I think active, but unused RAM, eats away the battery. How drastic is the effect on battery, or how much will it bother the end user , I don't know. I am all for keeping more RAM, but only if the software catches up with the hardware. It will raise the price. Better have 6GB of RAM but larger storage. 64GB is so small nowadays. They have to put 6/128 for the cheapest variant. Not 10/64. Why fingerprint scanner isn't under the screen? Xiaomi have done it previously with their flagship's! Because the screen in this phone is slider, duh. Almost perfect. No notch, it also no headphone jack. Can't win them all I guess. I look forward to the official reveal. Close to perfection, hopefully the small chin will also disappear soon. I would even prefer a phone with no selfie camera, no notch and no chin. This would be a big folly for any manufacturer. Selfie camera is used for several things, among them , taking selfies and face unlocking being the major ones. Why does it have the iPhone X's Camera layout? Still, It's a very nice looking phone. I guess Xiaomi's hoping that people will mistake this for an iPhone at first glance. There's actually quite a few phones with a similar camera layout. Peoples are blind and cant see the big letters Mix inprint at back?